It’s our third blogiversary (yup you can google it, it’s a real thing) and I can’t believe how much things have changed. When I first started Cowboy C was a Cowbaby and LittleMissH was still a dream. PrairieWifeInHeels.com has offered my family and I so many amazing opportunities. This last year it’s allowed me to supplement my income, helped me to reflect and grow as a woman, wife and mother, and I’ve interviewed women who’s stories are nothing short of phenomenal! As the years have passed I’ve learned so much. I could write a billion posts about the ups and downs of blogging, and what I’ve learned from my mistakes! I have yet to figure out the magic formula, some posts have 100’s of shares (or in the case of our Honey I’m Good video thousands) and sometimes we go a week with no comments on any of our posts. In the end, I’ve learned that going back to our mission statement will always help me to reach our readers. Making the choice to share my preventive mastectomy journey this year was a hard one. Sharing the emotions and pain and putting pictures of my mutilated and healing body on the internet has been hard…so hard. But, the dozens of email’s I’ve received from women thanking me for my honesty, saying my posts gave them strength to make the right choice for their family…it makes it all worth it. Just like most clothes, our blog isn’t one size fits all! Not every post strikes a chord with all of our readers. But, I think that even when our readers disagree with us they still leave our blog feeling supported rather than attacked, hopeful and empowered rather than ridiculed, and positive they will make the right choices for their family. We’ve made some tweaks to our blog in the last year. Fewer recipes (there are so many amazing blogs that are dedicated to food that do it so much better than we can), and more time in-between Prairie Wife of the Week interviews. 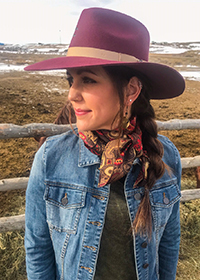 We’ve introduced another frequent guest blogger WyoSal and done some great guest posts with a few Wyoming bloggers I’ve come to know (to my great benefit). I’m sure you’ve also noticed that we also have more giveaways (wahoo free stuff) and coupon codes (wahoo saving money) to help make it easier for you to purchase products we love! I can’t wait to see what this next year brings not only for the blog but, for you our readers, and for my family and I. Cheers to another year of great blog posts, fab comments from our readers, and adventure, fun, health and happiness for us all! To show our appreciation to our readers we are picking two winners to receive some of their very own Prairie Wife gear! We have t-shirts (look at this past Prairie Wife of the Week in her sass and style shirt), hoodies and even shirts for your Cowkids! They come in fitted and relaxed styles, as well as sizes S-XXL. All you have to do is comment below with what you love about PrairieWifeInHeels.com OR what you’d like to see more or less of. Let us know what YOU our readers want! You can earn more points by following us on social media. We will pick TWO winners and they can pick ANY item of Prairie Wife gear they’d like (based on sizes and styles currently available)! Can’t wait to hear what you’d like to see from us! PS: Keep your eyes open all month for more giveaways and coupon codes, we want to celebrate this blogiversary in a big way! 31 thoughts on "Happy Third Blogiversary to PrairieWifeInHeels.com #giveaway"
I love the posts that are honest… those that bare your soul and make a personal connection. I read blogs to connect with other moms. Those of course are the hardest to write, I’ll work on doing more! More humorous anecdotes on the transition from preppy city kid to PrairieWife. I’ve got plenty of those to share! Can’t believe it’s been 3 years!! I remember being at your house as you were in the planning stages! You’ve done an awesome job and I always look forward to what you post! My new favorite thing on the blog has been your Pinterest and as seen on tv videos. Keep up the good work!! Lol you’ve been one of my biggest supporters! And glad you like them I’m never too sure about those…I’ll get working on some more! I love reading your blogs. You have a vast array of people to relate to who follow you religiously like I do . Some things relate to me while others, not so much.You are doing a great job and something that you truly enjoy. Maybe add more Wyoming/Casper related stories (Casperfest 2017) that would help draw people to our wonderful state/city. Keep up the good work and prairie wife on! Thank you for your support 🙂 and thanks for the idea I should do a bit more about Wyoming events…maybe I’ll do one about the Breast Cancer fund raiser tomorrow! I find myself liking almost everything you post, or at the very least being entertained by them. 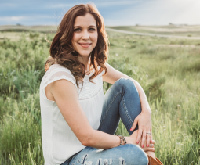 I like those that are Wyoming/Casper related, or a Wisconsin connection, I’ve enjoyed getting to know you better through blogs, meeting other amazing women through Prairie Wife of the Week. I think I’d have to say though my favorites are those where you show faulter as a mother. None of us are perfect, and in a world filled with so many perfect parents, it’s great to see we can’t all be perfect all the time! Happy Blogiversary! I’m so pleased to hear that, we really want our readers to leave us feeling positive and inspired! I love the honesty and true life posts! Also, the “real” beauty trials!! WE are nothing if not honest around here lol! I love how you keep things real & honest! 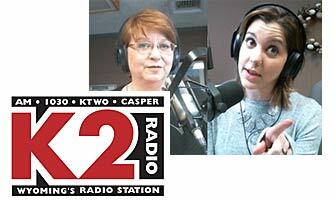 I love the Prairie Wife of the Week Interviews and guest blogs. Of course, more parodies are always welcome! Happy Blogiversary! Thanks Nici! I’ve got a few parodies written but to find the time to film…that’s another story! I love that the blog is real life….its not doctored to sound good. I look forward to reading new posts, its almost like a new book being released from your favorite author! I like reading your stories, trying your recipes and feeling like I have a no distance friend. TallGirlJ once asked me why she hadn’t met my friend Bennie! I explained that you’re my num one super reader (sorry to other readers) and we’ve become friends because of the blog! I loved reading about your mastectomy and recovery as I’m going to be heading down that road at the beginning of the year. I’d love a shirt from you as a reminder of how much you inspired me with your strength and honesty. Best of luck to you on your journey, and I’m honored that you’ve been inspired by me! I love that you tell it like it is–the good, the bad, and the ugly. Your life is relatable and your honesty is appreciated. Thank you, that means a lot. It can be hard to share both the good and bad! Congratulations, Prairie Wife in Heels!! We love you!! I love your humor and honesty. There is an undertone of empowerment in all that you write and a relatability to everyone’s life. Thank you for gracing this world with your work! I love that Prairie Wife in Heels is such an honest and open blog that has created a sisterhood and bond among its readers. There is no judgement anywhere and such real and relevant topics.